There are few simple pleasures in life as juicy and fulfilling as taking a bite of a freshly-grown tomato. Tomatoes are some of the easiest plants to grow. There are, however, eight common mistakes many novice gardeners make when starting their own tomato farm. Avoiding these practices will fully optimize your yield. 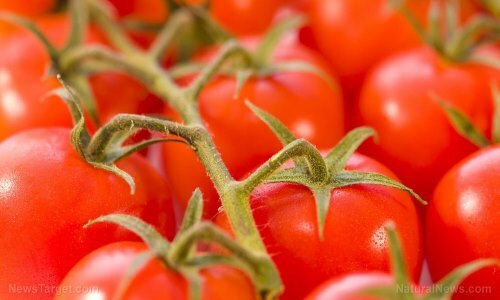 Not rotating the crops – One of the most common mistakes made when growing tomatoes is not rotating them every growing season. Let’s properly define rotation. This is where you grow various crops in different locations every year for around three years. Rotating plants this way helps avoid soil-borne diseases from flourishing. This will also prevent pests like wireworms and beetle larvae from setting root in the soil, potentially damaging crops. People assume that since tomatoes bear fruit easily, it does not require rotation. However, expert gardeners recommend rotating all members of the nightshade family, which includes potatoes, eggplant, bell peppers, and yes, tomatoes, regularly. To improve the health of the tomato crop, keep all the nightshades in the same rotation. This means avoiding any spot in the garden where one variety of nightshade is currently growing. Not letting it receive enough sunlight – Tomatoes love the sun. As much as possible, grow your farm in an area that is warm, but not hot. Tomatoes grow best when they receive at least six hours of sunlight daily. The more sun they receive, the healthier and bigger their fruit. Giving them too much sun – That said, overexposing tomatoes to too much sun will damage them. The crop wilts under extreme heat and humidity. If you live in an area where temperatures exceed 90 degrees Fahrenheit, choose an area that is relatively shaded during peak hours of around noon to 3 p.m. Morning sunlight is best for juicy tomatoes, since the heat is enough to dry drew. Not giving them enough space to grow – Remember that tomatoes are big plants. They need a lot of space to grow and flourish. Ideally, spacing should be around 24 to 36 inches apart. Anything closer than 24 inches may lead to the plants competing with each other for vital nutrients. This can result in several crops developing disease or not producing fruit. Not planting deep enough – When planting tomatoes, you need to think wide anddeep. Seedlings should be planted quite deep. Expert gardeners recommend burying around two-thirds of a seedling in soil. Tomatoes have an extensive root system and need space to grow. The more roots the plant has, as well as how well latched they are to the soil, will mean healthier, bigger, and juicier fruit. Not pruning them – This is an often underrated gardening practice, but there is a good reason (apart from disease prevention) why you should prune your tomatoes. With fewer leaves to nourish, the plant uses more energy in making the fruit bigger. Fewer leaves also implies that sun and air will dry the crop faster, which reduces the risk of pest infestations. Dry conditions will also prevent such diseases as powdery mildew, fusarium wilt, verticillium wilt, leaf spot, bacterial spot, and bacterial canker. Pruning tomatoes also ripens fruit faster. This gives you an earlier harvest. Take note that plants should be around 12 to 18 inches tall before pruning. Flowers also need to be pinched off. Only prune branches that touch the soil. Not fertilizing correctly – Certain tomato varieties are heavy feeders. These varieties need to be fertilized regularly or as recommended by your supplier. Typically though, weekly fertilization is suggested for maximum yield. Not watering them enough – To encourage strong root growth, make sure to water your plants heavily every five to seven days. We emphasize the term “heavy watering.” Shallow moisture will cause roots to be stunted near the surface so that they can reach the water there. Frequent, heavy watering means that the roots can grow deeper and stronger. Forgetting to water the soil can cause endless problems like blossom end rot. Water tomato plants at the base to keep the leaves dry. If you can, try installing drip lines or hand water to better facilitate the process. Correcting these mistakes will help you pull in a bigger and more flavorful harvest.